Motorola just announced a brand new Moto Mod alongside its Moto Z2 Force Edition flagship. The latest member of the snap-on accessory line is a 360 camera, capable of recording video in 4K. So, how does it differentiate itself from competitors like Samsung's Gear 360? Well, the fact that it's a module has many advantages - it can be connected via pins to compatible Moto Z handsets, which enables users to store videos and photos directly on their smartphones. This also allows for a more compact size, since there's no need for a separate battery or memory card slot. The Moto 360 Camera can also capture "immersive 3D audio" which basically means that the audio of a video clip will follow the direction you're viewing. Another big advantage is that the two lenses on the camera are very wide and can capture 150-degree shots. 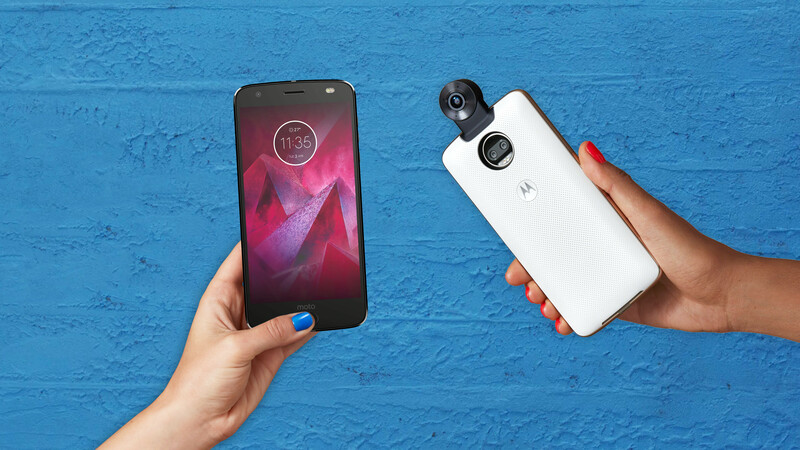 On the software side, you will be able to edit any photos and videos taken with the Moto 360 Camera straight from the native camera app of the phone, while everything you capture will be available straight away in Google Photos. Live streaming through Facebook, Twitter, and other social media platforms is also available. The new Moto Mod will be available on August 10 globally for the price of $299. That's a rather hefty price tag, even for such an innovative gadget. Three hundred bucks? It's gotta thoroughly beat the Gear 360 to justify that price tag. Why 150 degrees and not 180 degrees? 150 * 2 = 300 degrees only. $300!! That's worst than Apple's pricing.